Photos taken by The National seem to reveal what most of us have suspected, the desert planet Tatooine will make an appearance in Star Wars Episode VII. With Disney’s secrecy surrounding every aspect of the new film, these images seem to only serve to tease and draw more speculation from fans. 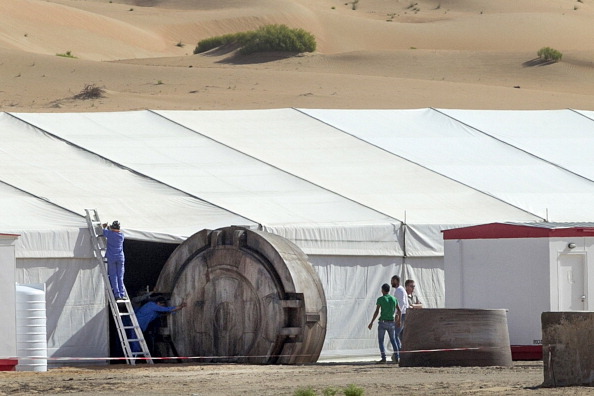 The rumored set photos were taken in Abu Dhabi near the Qasr Al Sarab resort. 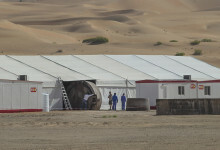 Crew members can be seen moving what appear to be set pieces into a large tent, which one can only speculate to be used for ensuring that details from the production remain a secret. What do these photos tell us? Not much. Nothing really important. Are they exciting? Sure. 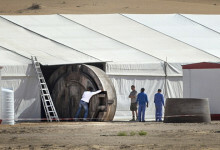 They are some of the first images to show the production of one of the world’s most beloved franchises. 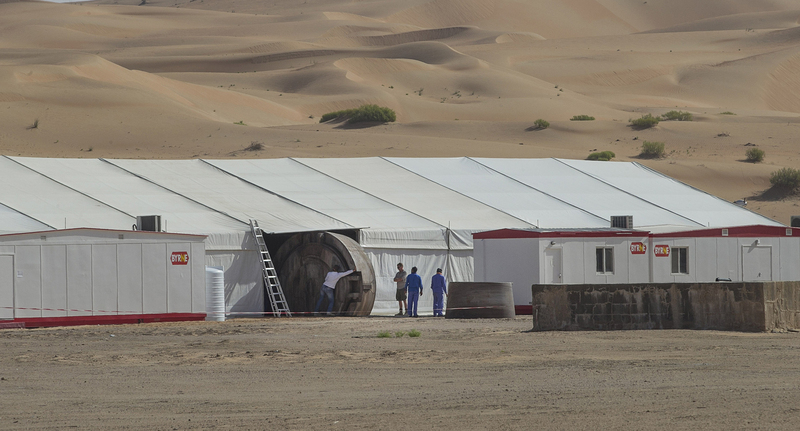 These photos of have been analyzed by internet detectives, and the running consensus seems to be that the large circular object being hauled into the tent is an AT-AT foot. Is this a stretch? Absolutely. Could these two objects be anything? Yep! You can rest assured that every single piece of leaked material from Episode VII will be analyzed and scrutinized until December 18, 2015. What do we know? 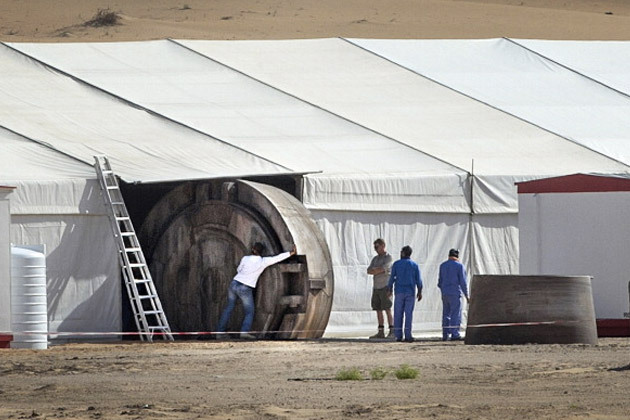 We know that Star Wars Episode VII has, or is days away from, the start of filming. 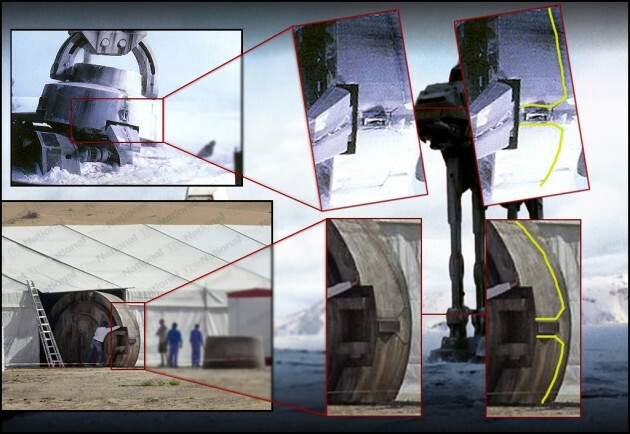 It’s completely possible that these practical set pieces will be used as the foot of an AT-AT, and the body of the AT-AT will be digitally added (similar to some of the Tyrannosaurus Rex scenes in Jurassic Park). 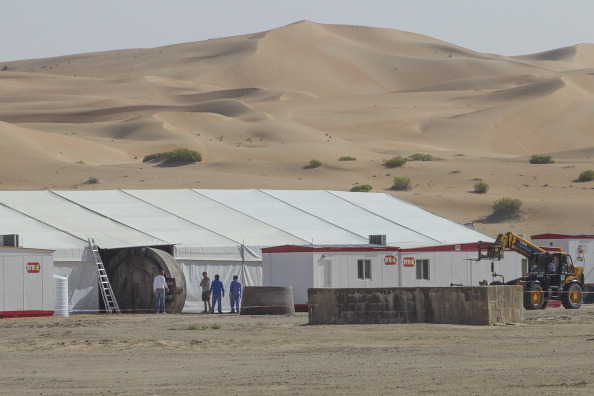 We’ve never seen an AT-AT on Tatooine, so it will be interesting to see those giant metal beasts clumsily stepping across the desert. Another question is, do you want to see these leaked photos? A part of me wants to avert my eyes and look away. It’s incredibly early in the production, but do you consider these leaked images spoilers?